Obituary for Norma E. (Peck) Cowle | Schaffer Funeral Home, Inc.
Norma E. Cowle, 93, of Defiance, passed away on Monday, December 3, 2018 at CHP Defiance Area Inpatient Hospice Center. She was born on January 28, 1925 to Lavon and Pearl (Fenter) Peck in Defiance. On April 7, 1943 she married William "Bill" Cowle, who preceded her in death on February 28, 2018. 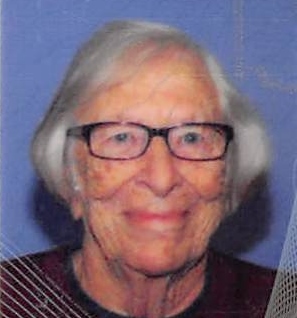 Norma was a member of Ayersville United Methodist Church. She dearly loved her church, and she volunteered with the Noodle Crew. She was a cook and a librarian at Ayersville Local School for several years. In her leisure time, she enjoyed gardening, crossword puzzles, and watching hummingbirds. Her greatest joy was spending time with her family and friends. Norma will be sadly missed by her son, Alan (Brenda) Cowle of Defiance, daughter, Myra (Roger) Blevins of Jamestown, TN, four grandchildren, and eight great-grandchildren. In addition to her parents, she was preceded in death by her husband, William W. Cowle, grandson, Cory Blevins, and sister, June Dirr. Visitation will be held from 9:00 to 11:00 am on Monday, December 10, 2018 at Ayersville United Methodist Church. A Memorial Service will follow at 11:00 am at the church, with Rev. Clarence Dinnen officiating. Burial will follow the service at Hill Cemetery. Memorials are suggested to Ayersville United Methodist Church, or CHP Defiance Area Inpatient Hospice Center. Online condolences can be given at www.Schafferfh.com.